1. Universal input: 4-20mA, 0-10V, 0-75mV, 0-400Ω, Pt100, K, E, J, R, S, T, B or others;20 segments of customized linear input. (Configurable by software) . 2. 4 alarms relays, high, low, interval, etc. alarms adjustable by user. 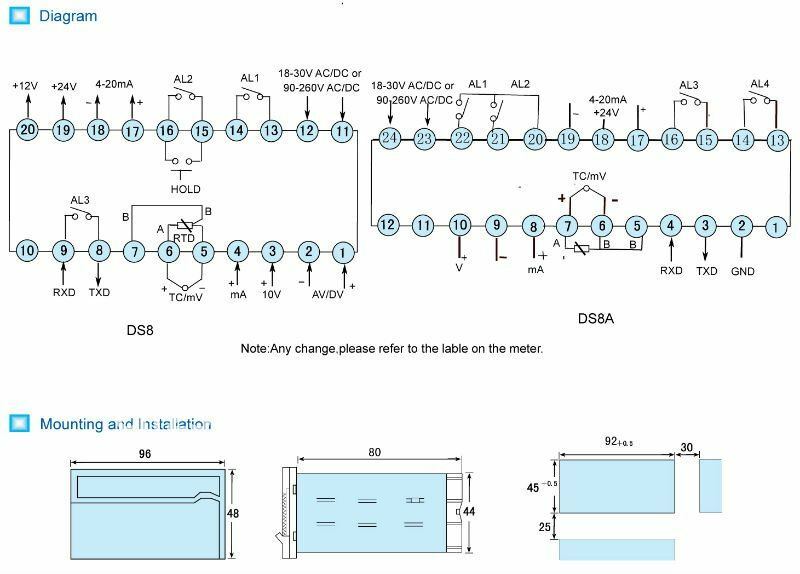 contact capacity: AC 250V/3A or DC 30V/3A (resistance load). 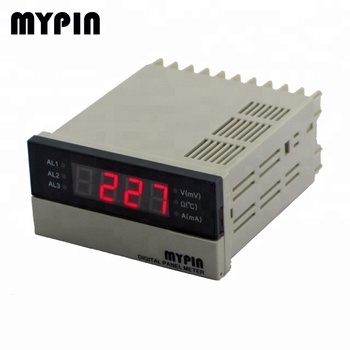 3.Transmitter power supply: DC 24V or DC12V / 30mA max..
4.Product power supply: AC 90~260V 50/60Hz, power consumption<5VA . 5. Optional: a. 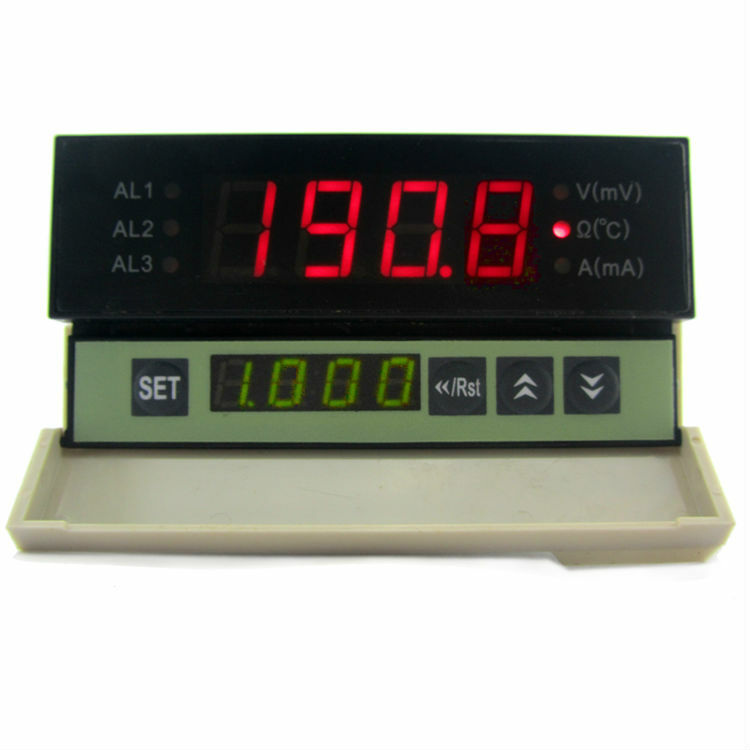 Isolated analog output: 0~10mA or 4~20mA, configurable by software. b. RS485 or RS232 interface.. Applications: DS series multi-function indicator can measure voltage/current signals of any ranges; Can select data holding or peak & vale holding function; Applied for 2-wire transformer, pressure sensor, 4- wire weighing sensor, remote pressure meter and other sensor measuring devices; For non-linear input, can provide 20 segments of costomized linear process; Can measure AC / DC voltage/ current and resistance, isolated input /output and external supply; Can link to PC through communcation interface..